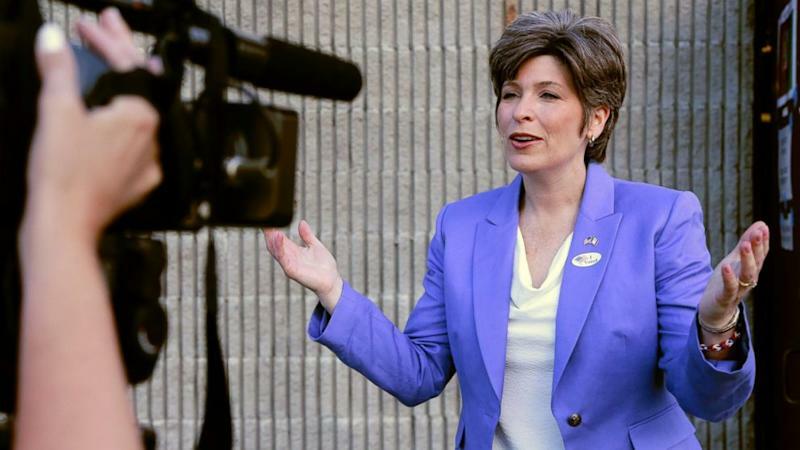 DES MOINES-Joni Ernst is not striving to be the next Ted Cruz. But if she reaches the Senate, she hopes aspiring senators want to be the next Joni Ernst. "I hope that after a couple of years, people are going to say, 'I want to model myself after Joni Ernst,'" she told ABC News today. Ernst, a state senator who has become one of the Republican Party's most promising recruits of the midterm election season, acknowledged that she feels pressure as one of the key pieces in the GOP effort to try and pick up six seats to win control of the Senate in November. "It is such a phenomenally positive pressure," Ernst said. "I have gone from being a very little known state senator from southwest Iowa to now being someone that can really make a difference for Iowa in our federal legislature." She faces Bruce Braley, a Democratic congressman from eastern Iowa, to fill the seat of retiring Sen. Tom Harkin, a Democrat. The race has taken on national importance, she said, "because this is a great opportunity for us to take the majority in the United States Senate." As she toured the Iowa State Fair today, Ernst dismissed suggestions from her rival that her positions are too extreme for Iowa. "I think that that's a distraction," Ernst said. "What he sees is a strong, independent female leader. Someone that is working for Iowans. He's been very disconnected from Iowa for a very long time. Like I said he's part of the Washington, D.C., problem." She gained national prominence with an ad comparing her experience castrating hogs in Iowa to cutting pork in Washington. "It took off because it is truly Iowa," Ernst said. "I knew that this ad would be a great hit here in the state because people here get it. Iowans get it." Asked whether she supports the limited airstrikes conducted in Iraq, Ernst, who serves as a lieutenant colonel and battalion commander in the Iowa National Guard, said the situation in Iraq may not have developed if US troops would have remained in the country longer. "What I can say is what I would have supported is leaving additional troops in Iraq longer and perhaps we wouldn't have this situation today," Ernst said.